John Assaraf is a spiritual entrepreneur, philanthropist and teacher with an insatiable passion for brain research, quantum physics and helping others achieve unbreakable success. Through his own personal experience - and from the experience of successfully coaching countless others - he's discovered that financial success is actually wired within your brain. He has proven it's possible to retrain your brain to quickly take charge of your money story that drives all your financial decisions and results. If you feel stuck tying to make more money in your life, or simply want to reach a higher level of success, then I recommend you check out John's comprehensive wealth-training course... and get ready for a future of wealth and happiness. 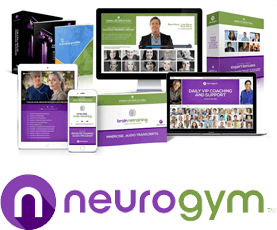 Not only will this powerful program fulfill your desire to help others deal with any challenge and get more from their lives, but you'll also create amazing positive changes in your own life, career, and income levels as well. 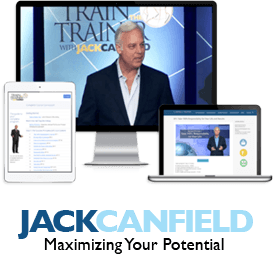 Jack Canfield is a true leader in the personal development field. Now, he's offering you the chance to become one of his certified trainers, so you can transform yourself and others from the inside out. Plus, you can get certified from the comfort of your own home with his new Train the Trainer Online certification course. His students have already experienced breakthrough results with this program - both in their own lives and in the lives of the students they teach... plus, they're getting paid for it along the way! Paying "experts" in the financial industry high fees for mediocre returns? Being afraid you don't have the knowledge or time to learn to invest on your own? 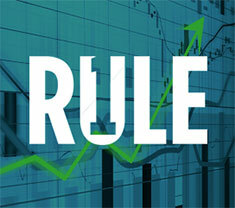 Join Phil for a 100% free 3-day workshop where you will discover his Rule 1 Strategy, and begin to take control of your money and make 15% returns in just 15 minutes a week with a low-risk, high-yield Warren Buffet-style investing approach. Phil Town gave me what no other investor has ever before: the confidence to take control of my own money. He educated me on some of the biggest myths perpetuated by the financial services industry and showed me a simple step-by-step formula so I feel confident investing on my own, and get greater returns than I would investing in a mutual fund. Then, you'll discover exactly how to rapidly dissolve them to improve your income, business, relationships, health, overall happiness, and more. Plus, you'll discover quick and easy ways to make your life more enjoyable, more prosperous, and more joyous! 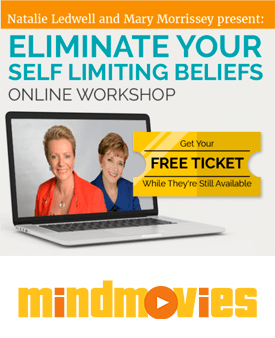 Personal growth guru and Law of Attraction expert, Natalie Ledwell, has taught thousands how to tap into the power of their mind to dissolve any limiting beliefs holding them back from success and prosperity. When you follow her timeless and proven strategies, you'll quickly learn how to re-program your mind to overcome limitations, and solidify the successful beliefs you need to start living the life you've always dreamed of... and, you'll have fun doing it! " Many business owners attempt to create a profitable business, but end up with nothing more than a self-created job. Did you know that it can take up to 3 years or more to generate profit in a new business, and even longer to get wealthy? That's the opposite of creating wealth. With Harv's time-proven wealth secrets you'll be able to create more wealth, faster, and with less strain... in any business you choose. T. Harv Eker is one of the best success experts I know. He's taught over 2 million students worldwide. Plus, he's changed countless lives by teaching others the principles and strategies that put them in a position to create lifelong wealth and abundance. 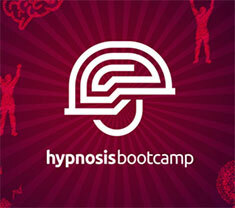 Hypnosis Bootcamp is an innovative way to connect with your subconscious mind. It allows you to free yourself from convention, from being limited based on the outcomes of your past experiences, and to experience the world and yourself in it in new and powerful ways. And take you to places you never believed you could go (much like that feeling you have when you’re reading a great book). If you've ever found yourself lost in a book, then you've experience a trance state. This is exactly what happens during hypnosis. In this state, you are highly suggestible where you’re able to believe, enact, and go for things that your conscious, logical mind might have kept you from believing you could do. By short-circuiting long held self-beliefs and deep-seated behavioral patterns, Hypnosis Bootcamp can often deliver real-world results that simply cannot be achieved in any other way. 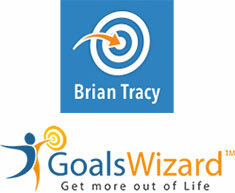 Goals Wizard is my powerful success coaching iOS app that will help you discover, plan, and achieve your most important personal and professional goals. It comes with a guided step-by-step goal setting process and a unique set of effective tools to boost your productivity, and help you accomplish your most significant goals and dreams. This powerful and effective self-development and online coaching program is your surefire way to not only discover what you really want out of life, but to help you every step of the way until you get there. You'll never again feel "stuck" or unsure of what steps to take during your personal journey to success. And, you'll enjoy this journey every single step of the way! The Raikov Effect will teach you how to tap into the power of your mind by using simple brain hacks that give you access to your creative potential. Tap into the skills and abilities of a person who is incredibly good at what they do. Learn How to Enhance Your OWN Brain Power. My friends over at Inspire3 are very innovative with their programs, and are experts at tapping into the mind. 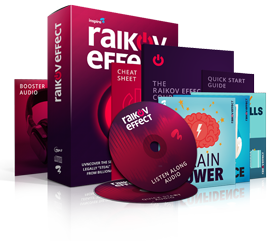 Their newest product, called "The Raikov Effect," has helped transform the way people think by maximizing the creative potential we all have inside of us. Inspire3's method amplifies the Law of Attraction to focus on your creativity and intelligence by tapping into the energy of someone else who has achieved their goals. Have you ever wondered what thought processes Da Vinci used to become the world's most renowned artist? No need to wonder anymore. I'll let the Raikov Effect do the explaining. 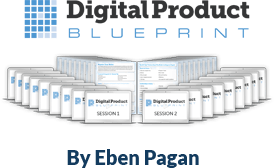 Eben Pagan is one of the biggest names in internet marketing today. He's built multiple 7+ figure online business, and now he's teaching others how to be successful doing the same thing. He's known for his down to earth, methodical, and professional style... as well as his impeccable track record of online success.